These vegan peanut butter balls are my favorite childhood dish. My mom makes this low carb chocolate balls with only 3 ingredients, Skippy peanut butter, chocolate and lots of almonds. Especially when holidays are there, she makes a variety of a bite-size dessert and store in an airtight container. This one nuts ball is my favorite from her holiday recipes collection. She makes no-bake chocolate peanut butter balls especially for a Christmas Cookie Exchange, not only me but my whole family like my mom’s desserts dishes. A day before Christmas she and my dad wrap all the cookies, crunchy peanut butter balls and gluten-free peanut butter bars in a box. You can use more almonds, which help to boost your memory and keep yourself energetic. Make this easy peanut butter balls without powdered sugar. This homemade, no bake, fewer ingredients chocolate protein peanut butter balls in just less than 20 minutes. Special Tip: If you want to make gluten-free balls use gluten free all purpose flour or don’t use flour in it. Chocolate balls with peanut butter, easy and quick party dessert. First dry roast almonds and cashew nut. Grind the almonds and cashew nuts coarsely. On double boiler, melt chocolate. In a pan, dry roast atta. When it turns slightly brownish, add peanut butter, mix it well. Pour melted chocolate in atta. 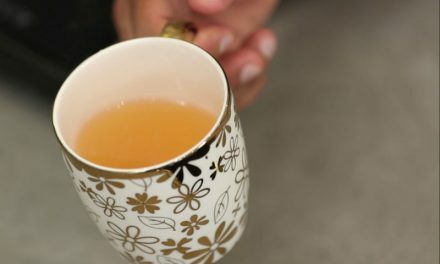 Mix it and add coarsely grounded almonds and cashew nuts. Turn off the flame and keep on stirring it till it gets thickens. Once it gets too cool down on room temperature, grease palms with oil/ghee. Make small balls and make all of them in the same way and keep it in the fridge to set. 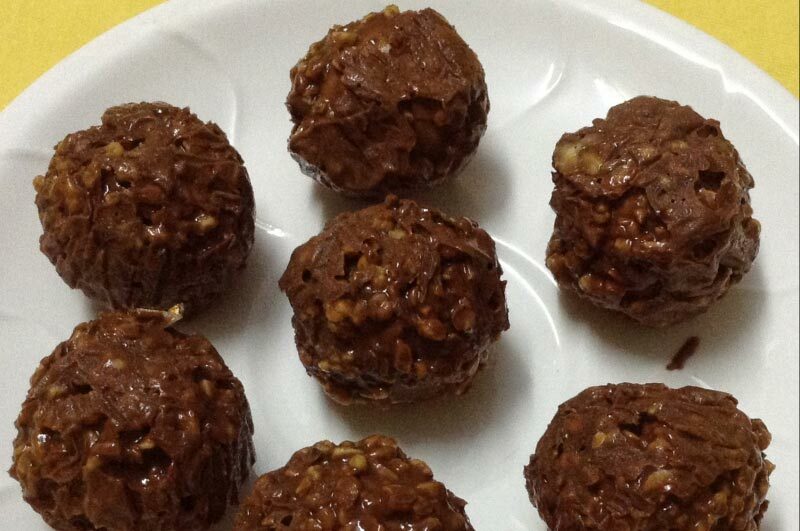 Serve Peanut Butter chocolate balls and kids just love them.